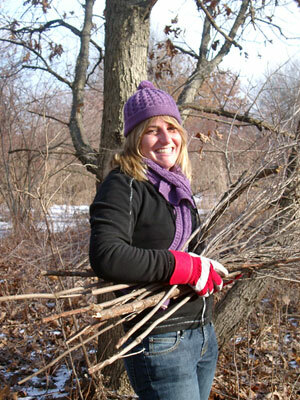 Friends of the Forest Preserves is an independent non-profit organization advocating for responsible management of the Forest Preserves of Cook County. Through advocacy, internships, and ecological restoration we promote responsible management of the more than 68,000 acres of forest preserve land. More information about the Friends of the Forest Preserves can be found at their website. Currently, there are too many invasive plants in the forest preserves. These species are removed by volunteers using hand tools and then stacked and burned to help improve habitat for native plants and animals. Trained leaders show you how to identify plants that don't belong and demonstrate how to safely use hand tools to remove them. All the necessary tools and work gloves are provided. Depending on the season, workdays may also include native seed collection for dispersal in areas cleared of invasive species or nature walks to enjoy the preserve. All participants should be dressed for a day of outdoor work. Please wear covered shoes (hiking boots or tennis shoes) and long pants. Clothing should be made of natural fibers such as cotton or wool (no synthetic clothing) as workdays often have brushpile burns and stray embers can "burn" clothing. Please wear comfortable clothes that can get dirty. Please bring your own drinking water. Depending on the season, sun screen or insect repellant maybe good items to bring to a workday. Beaubien Woods: meet at the picnic pavilion (Take I-94 to the Beaubien Woods Exit #69 just south of 130th St.). Dan Ryan Woods: meet at the parking lot on the north side of 87th St. two blocks east of S. Western Ave.
Powderhorn Prairie: meet in the Powderhorn Lake parking lot on the east side of Brainard Ave. just south of Burnham Ave. in south east Chicago. Kickapoo Prairie: park in the Thorton Township Municipal Building (Halsted and 144th St.) and meet at the entrance to the prairie site that is directly west and across the street from the parking lot in Riverdale. Eggers Woods: meet at the caretaker's house for the preserve at east 112th Street and Ave. E. in Chicago. Whistler Woods: Located east of Halsted close to the intersection of Halsted and Forestview Ave. in Riverdale, drive all the way to the end of the lot at Whistler and park in the circle near the Major Taylor Trail trailhead.